The mission of NETPRO® Sports mission is to further the growth of the sport of Sepak Takraw through synergetic efforts, while promptly and professionally delivering the highest quality of Sepak Takraw equipment, materials and expertise. NETPRO® Sports works directly with Gajah Emas (Malaysia) in the manufacturing of appealing, top quality Sepak Takraw equipment suitable for all levels and ages of players around the world. NETPRO® Sports also cooperates with Sepak Takraw Saskatchewan (STAS) and the Sepak Takraw Association of Canada (STAC) in the development, production and publication of superb educational, instructional and entertaining Sepak Takraw books and DVDs. "We get our kicks by providing what you need to get yours!" NETPRO® Sports grew out of the passion of one man, Richard (Rick) F. Engel, whose life was changed forever after cross-cultural experiences in Asia, both before and after receiving his Bachelor of Education Degree from the University of Regina, SK. The way he viewed the world had forever changed, and he recognized a need for a better understanding of Asia within Canadian society in general, and felt there was not enough being done to combat stereotyping, prejudice and racism. He left a successful teaching career in 1993 and began piloting a program that eventually grew into a non-profit organization called Asian Sport, Education & Culture (ASEC) International, whose mandate was to “Build Bridges of Understanding Between Cultures”. Sport and recreation, along with cultural and educational programs, have proven to be effective catalysts in the process of cross-cultural ‘bridge building’. Though ASEC was a cultural organization that had a strong focus on conducting Asia Cultural Presentations in schools, part of its goals were also to assist in the development and growth of Sepak Takraw, and as such, added the sport to its list of unique activities that students could try right in their own schools. Rick learned technical aspects of playing the sport from friends within the local Laotian community, joined Asian training camps, and began to play the sport competitively. Volunteering and contracting himself out, Rick was an ideal person to introduce Sepak Takraw into schools through ASEC presentations and through Phys. Ed. Teachers’ Conferences across Canada and USA. Though ASEC eventually closed its doors, the impact of the work it did will be a lasting legacy in Saskatchewan. 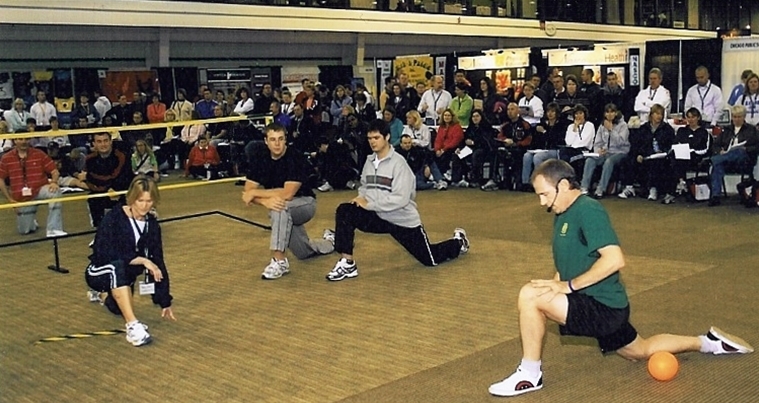 As well, Rick helped to establish the Sepak Takraw Association of Canada (STAC) in 1998, which governs the sport nationally, and Sepak Takraw Saskatchewan (STAS) in 2009, which now governs the sport in Saskatchewan. He is also one of eight Vice Presidents of the International Sepak Takraw Federation (ISTAF), which governs the sport globally. Rick still competes in the sport at every level and has quite a collection of every color of medal from both provincial and national championships, as well as a silver medal from the World Championships. He has been player/coach of Canada’s national team, leading them to 11 world/international championship events in Thailand, Malaysia, China and France since 1999. Rick has been awarded his international Coaching and Refereeing Certificates from ISTAF, and is in demand for conducting Sepak Takraw Clinics all across North America. Interviewed by TIME magazine in an article on Sepak Takraw (May 28, 2007, Canadian & Asian editions), Rick is considered one of the key pioneers in the promotion and development of Sepak Takraw world-wide, has authored or co-authored 4 books on the sport, including “Sepak Takraw 101” (1st, 2nd and 3rd Editions) and “Get Active, Get Your Kicks – Sepak Takraw Benchmarks & Evaluation Resource Manual”, and has produced 5 Sepak Takraw DVD’s. 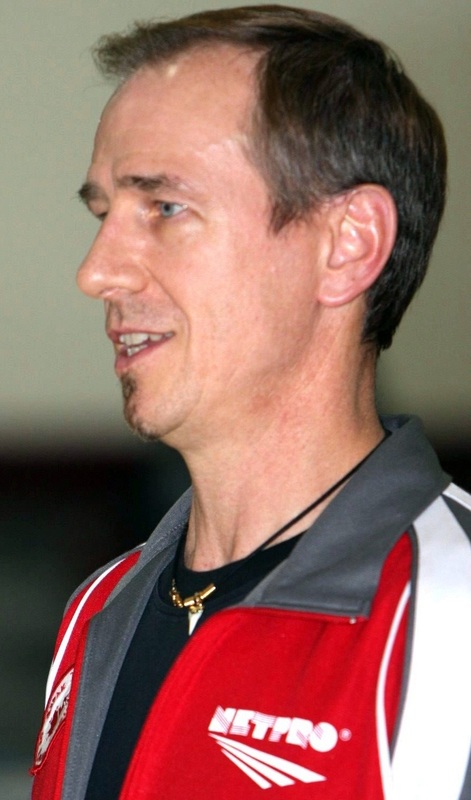 In the spring of 2008, Rick was the recipient of the National “Enriching My Canada and Yours” (EMCY) Award for his work with Sepak Takraw and contributions to Diversity in Sports in Canada. Right from the beginning of his involvement with promoting Sepak Takraw (1993), Rick also became involved with importing Sepak Takraw balls for schools that would decide to continue playing Sepak Takraw after they got a taste of it during a presentation or clinic. The challenge was to find Sepak Takraw balls that were suitable for various ages and levels of players. Hand-woven rattan balls were too brittle; they splintered and broke apart quickly, making them not very safe. 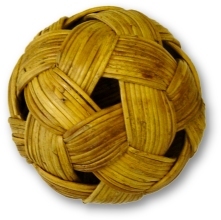 One of the main synthetic hand-woven balls being marketed for young or beginner players at the time was just too soft and broke or tore apart very easily with little use at all, and the manufacturer declined a direct working relationship that was proposed. The other balls that were available were simply too hard and too heavy … very intimidating for students who are used to playing with soft, air-filled balls (i.e. volleyballs or soccer balls). A search for something that would be more ideal eventually led to a Malaysian Takraw ball manufacturing company named Gajah Emas (meaning Golden Elephant). Frequent, important correspondence regarding the production of a series of balls that would be more suitable to western markets, resulted in meeting with the owner of Gajah Emas in Malaysia for the first time in 1998. Gajah Emas and Rick developed a common vision and after much cooperation, research and trial & error, a series of 5 different levels of appealingly colored, superb performing and durable synthetic Takraw balls for different age groups and levels of players were introduced under the NETPRO® trade-mark. All of the balls are approximately the same size, but each higher level ball is a little heavier (providing better control) and a little more tightly woven (providing a springier bounce) than the previous one in the series. 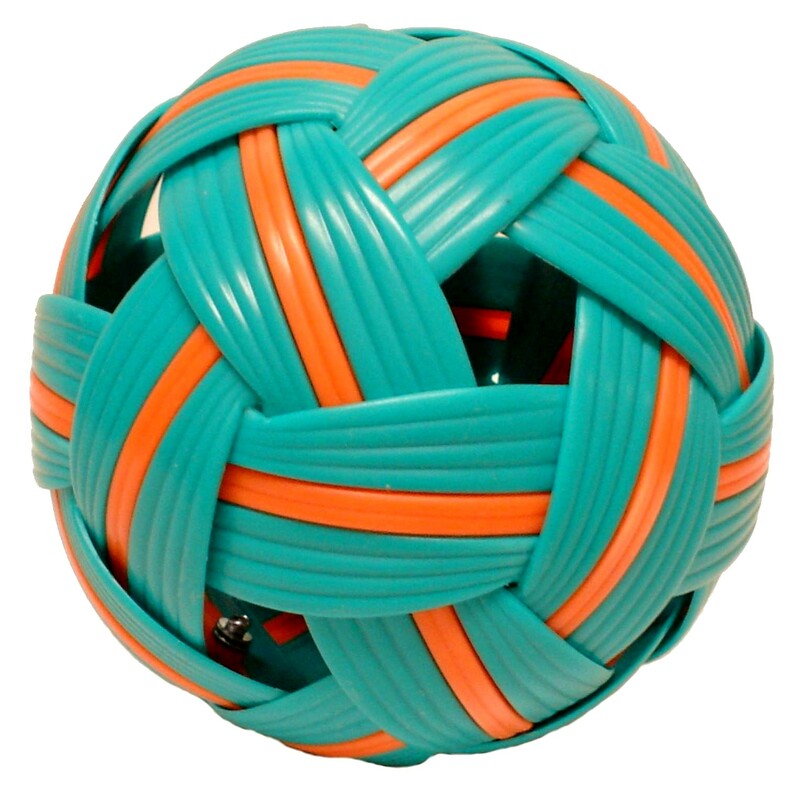 The series starts with the beginner ball being very light, only 145 grams, and fairly loosely woven, providing lots of give on contact with the ball when kicking or heading it – which makes it much less intimidating for a ball that does not have a soft surface or that is not filled with air. 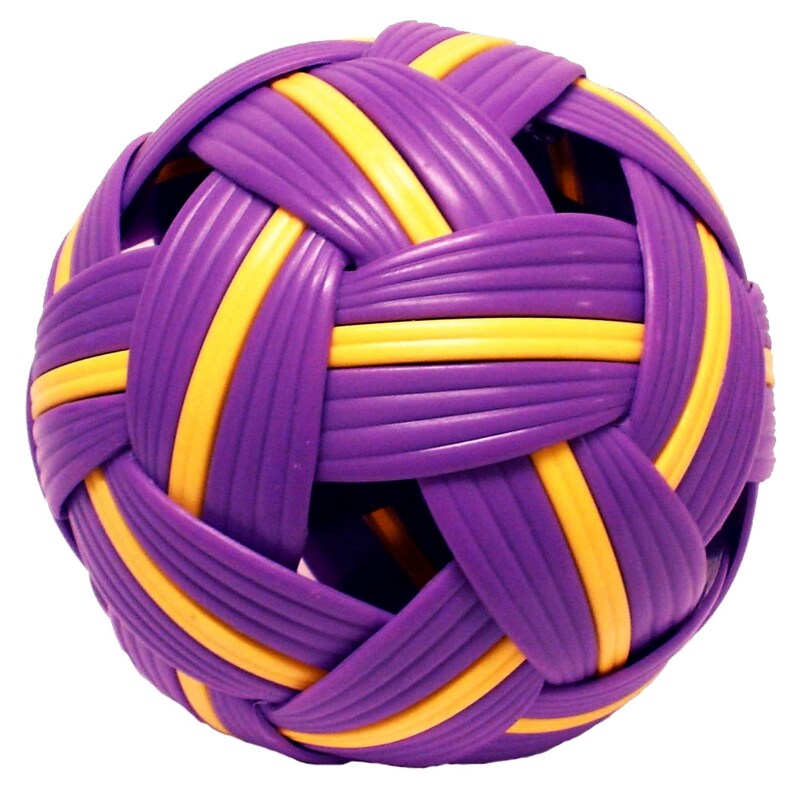 The last two more advanced levels of balls in the series (out of the five) were already being previously produced by Gajah Emas, but were eventually improved to meet varying climatic conditions, and are made to comply with the rules of the game as stated in the official international rules governed by the International Sepak Takraw Federation (ISTAF). Canada adopted the above balls as official balls for use in its plans for sport development. 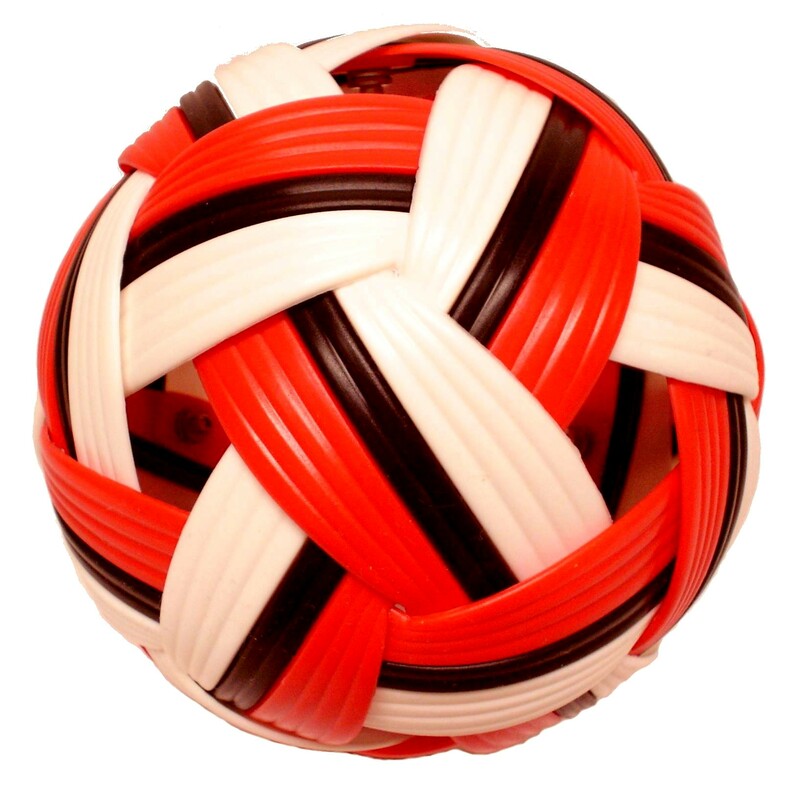 National supplier rights in Canada for Sepak Takraw equipment was offered to ASEC International, as a way for the non-profit organization to earn some of its own revenue. 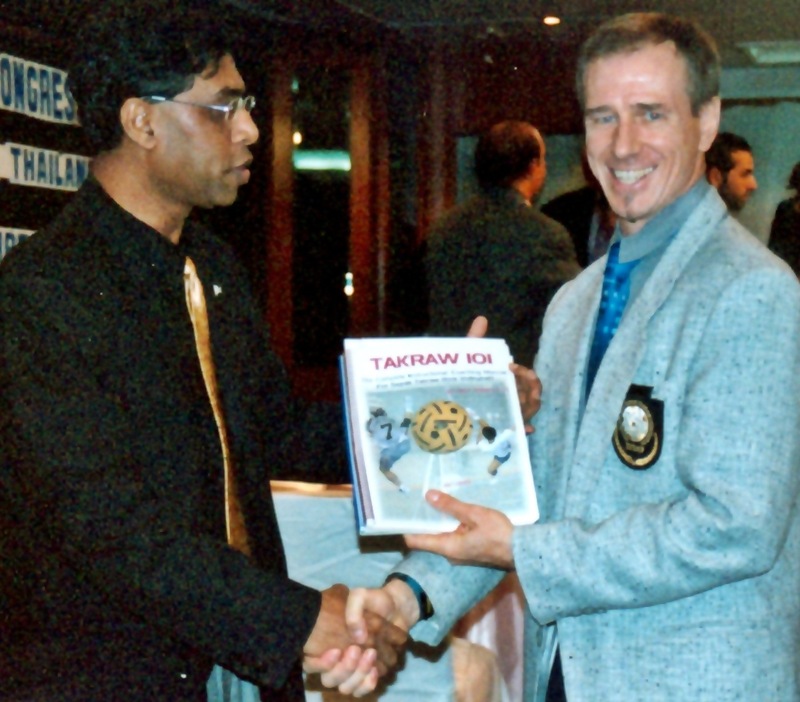 Eventually with increased sales activity in Canada, and then also in the USA, it was necessary for Rick to formalize his growing business interaction with Sepak Takraw, and he officially registered NETPRO® SPORTS as a sole proprietorship on October 1, 2001, which then became an incorporated entity in 2006. As a competitive Sepak Takraw player, right from the beginning of his involvement, a primary piece of equipment that Rick felt was missing in the sport was an ideal kicking shoe. He had tried the typical shoe brands that Asian players were wearing, but due to the lack of support in those shoes, he quickly started developing knee problems from all the jumping and landing. This inspired Rick to design a shoe that would have all the features that he knew was needed to be an ideal kicking shoe, with jumping/landing support, light weight, comfort and kicking control … a shoe that would ultimately help reduce injuries and prolong the healthy life of athletes, giving them a longer playing career. After almost 3 years of research, time and resources, Rick’s ideal kicking shoe became a reality and NETPRO® NP KICKERSTM were manufactured and released in 2007.
from being a BEGINNER PLAYER, having fun in the park ... … to being an ADVANCED PLAYER, competing on the world stage!